UK spirits group Ian Macleod Distillers has re-packaged and re-positioned its Langs Supreme Scotch whisky brand. The new bottle design, developed by Graphic Partners, updates the current traditional Langs Supreme packaging, to create a more premium design, the company said today (29 July). 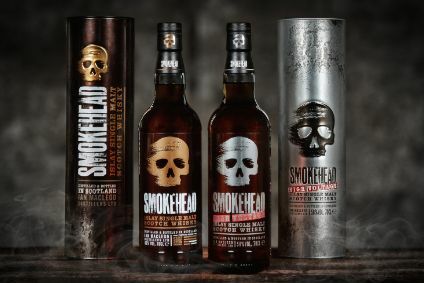 "The redesign will increase on and off-trade penetration in leading outlets in key developing markets worldwide," said Iain Weir, marketing director of Ian Macleod Distillers. The design incorporated an emphasis on Langs history, heritage, provenance and location. Langs Supreme is available in a range of sizes, from 4.5 litres through to 5cl. RRP for 70cl is GBP12.99 (US$25.99). Principally sold in global and travel retail markets, Langs is also available throughout the UK in bars, clubs, cash and carries, wholesalers, supermarkets and convenience stores.